The advantages of steel sports facilities are far-reaching. It is perfect for budget-conscious but serious investors. The demand for all-purpose indoor sports facilities is growing more than ever amidst increasing popularity of athletics and development of league sports teams across the U.S. In fact, the youth sports industry is already worth $7 billion with over 21 million young people into non-school affiliated sports. This should not come as a surprise as sports facilities such as gymnasiums, ice arenas, and indoor swimming pools are quickly becoming a profitable venture for investors and entrepreneurs as the interest in sporting events grow among Americans. This is a significant challenge however since sports facilities have unique requirements in accommodating various sports activities. Moreover, since sports facilities usually represent a common project by a certain group or organization coming together to build them for the benefit of the youth, limited funding is also a major challenge. Of course, you need a structure that will be appealing to players and fans alike and at the same time functional enough to host various activities. You need long open spans and a vast space that can accommodate office spaces, storage, and mezzanines. But you need to be practical too. As much as you want your venue to be as comfortable as possible, you need it to be profitable too. Furthermore, you want your facility to be erected quickly and require low maintenance costs. More often than not, a prefabricated steel building that is specially designed for the purpose is the perfect solution. Building sports arenas and hosting athletic events are a serious business that can potentially last for many years. It thus makes sense to only go for premium buildings. It requires great attention to detail especially when it comes to planning, designing and constructing. Whether you are looking at planning a private venture or pursuing a publicly-funded facility for young people, the project cost is a major concern. It is particularly important therefore to invest in a prefabricated steel building kit if you want to save big on upfront construction costs. They are usually designed to be efficient and durable and hence translates to more savings on maintenance and utility bills. Not to mention, steel is the cheapest material of all the available construction methods. Moreover, since they are designed to be easily assembled, its erection do not require a large crew. The reduces labor cost right off the bat. 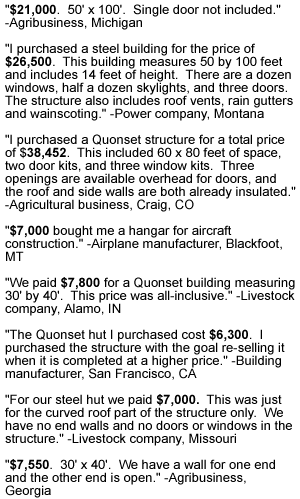 It is worth noting too that since prefabricated steel building kits are pre-engineered, the time required to erect them only require a fraction of the total amount spent on conventional building methods. Hence, you don’t only save money but also on time. Aside from being cost-effective, prefabricated steel buildings are favored over other traditional construction methods due to its versatility. Probably unknown to many, some sports arena are being transformed into a multi-purpose facility. The can host a hockey game one night and a soccer tournament the next day. They can also be tailored according to your unique requirements and preferences. Prefabricated steel buildings are very flexible that they can adapt easily to the varying needs of sports facilities and address patron’s requirements. 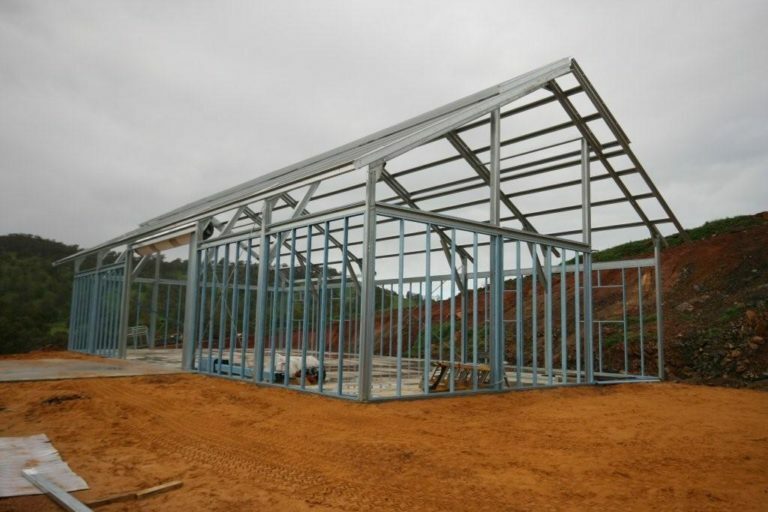 This type of construction method offers efficient and cost-effective steel building for your needs. Steel sports arenas are for instance made of quality construction. It utilizes premium cold-formed steel and the structure could be customized in virtually any configuration. Moreover, its versatility enables you to accommodate seating for hundreds to thousands of spectators. What really makes steel sports facilities perfect for sports arenas is the fact that the absence of columns results in a clear-span playing area and a spectator space that can be as expansive as 300 feet in width. This means the obstacle-free spaces can host various indoor activities such as tennis, basketball, soccer, and other sporting events. It offers you the flexibility to satisfy even the most intricate space design without the need for beams or inconvenient support columns while still maintaining an unobstructed environment. They can also be pre-engineered in such a way that it provide a quick expansion in the future whenever the right time comes along. With a steel sports facility, you can customize its exterior with brick, slate stucco, and rock products. It can accommodate various high-quality components. Steel sports facilities are designed to last long and often require zero to low maintenance. Their durability allows for many years of operation. That alone add an exponential monetary value to your investment. Since they are already pre-cut pre-punched, pre-drilled, and pre-welded at the factory, steel sports facilities can be erected easily at the job site in a few days. The quick construction enables you to attract fans, host events and be profitable in a less period of time compared with other traditional construction processes. Prefabricated steel buildings are becoming a preferred choice in developing sports arena as their unobstructed floor spacing makes them the best venue for players and fans. A low initial upfront cost and almost zero maintenance along with a lifetime warranty all make businesses shift to steel for their indoor sports facilities. It is important to remember however to only choose a quality brand. Not all brands are created equal. 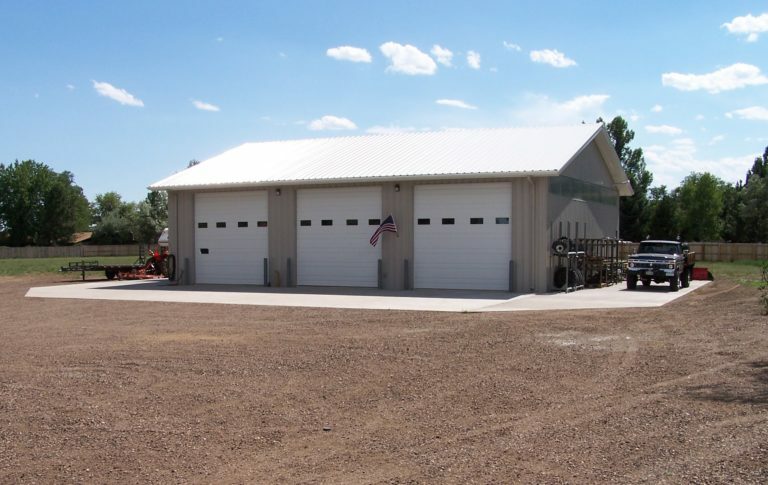 Before purchasing a steel building kit, you must ensure that the provider only produces steel buildings that use premium steel and strictly adhere to the most stringent technical specifications. The amount of waste involved in constructing prefabricated steel sports facilities is reduced to an absolute minimum. Whatever structure you intend to build, security and protection are two things that should not be compromised. This is especially true when you are planning on building a sports facility where the public comes to compete or watch their favorite games. Some also tag their children along.